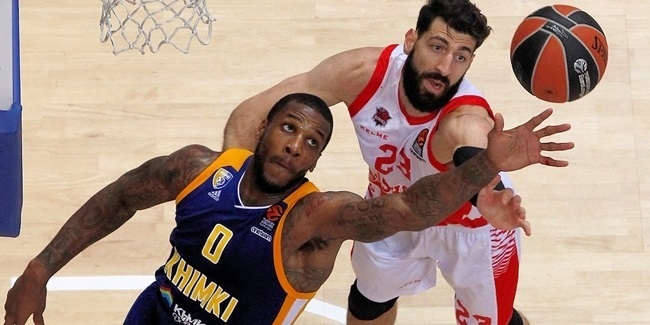 Cholet Basket made sure it will have some familiar faces on its 2010-11 roster after re-signing Sammy Mejia, Randal Falker and Antywane Robinson for the coming season. For both Falker and Robinson it will be a third consecutive season with the club. Mejia (198, 27) was Cholet’s leading scorer last season. He led the Eurocup regular season with 22.8 points per game and led the team in the French League with 13.8 points in 30 games. Mejia made a name for himself during a college basketball career at De Paul University, where he averaged 14.1 points and 5.9 as a senior during the 2006-07 season. He played briefly for Fort Worth in the NBDL the next year and later for Pierrel Capo d'Orlando, helping that team reach the Italian League playoffs. Mejia spent the 2008-09 campaign with Greek side AEL Larissa. Robinson (203, 26) averaged 12.8 points and 7.3 rebounds in the Eurocup, ranking him eighth among all rebounders in the regular season. He tallied 12.7 points and 6 rebounds per game in the French League. Before joining Cholet as an injury replacement during the 2008-09 season, Robinson had also appeared in the French League for Pau-Orthez. Robinson played college basketball at Temple University and later suited up for Sioux Falls in the NBDL. Falker (201, 24) averaged 4.8 points and was among the Eurocup top 10 with 7 rebounds per game last year. He also blocked 1.2 shots per game. In the French League, Falker recorded 6.4 points and 7.6 rebounds per game. He was fourth in the league in offensive rebounds per game with 3.1 per outing. Cholet has been his only professional club after a college basketball career at Southern Illinois University where he was the Missouri Valley Conference Defensive Player of the Year after his junior season. 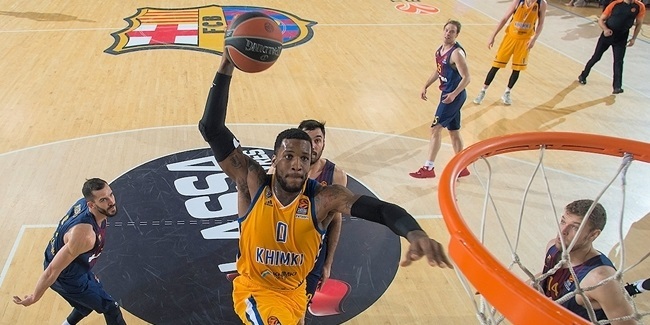 Khimki Moscow Region announced Monday that star center Thomas Robinson will miss several months with a broken wrist.